You want to save money on your home phone system, but don’t want to have to worry about complicated technology? Our residential VoIP wiki makes it easy to understand more about internet phone systems, and will help you make a decision on which solution you should choose. The VoIP consumer reviews, ratings and comparison charts on our site will further simplify choosing a virtual phone system. There’s also our VoIP free trial offers and discounts that will help you save even more on your phone expenses. VoIP is one amazing technology that is working every bit to change the way in which people make calls. VoIP, which stands for Voice over Internet Protocol services, is an advanced technology that makes use of an internet connection to make phone calls over the digital network. One primary attraction of this modern-day calling technology is its ability to reduce the monthly telephone bills by a huge amount, as all the main telephone calls are transmitted through the internet connection rather than using the traditional copper wired phone networks. Residential VoIP services are far different from business VoIP systems. They are only similar in terms of technology used for making calls; the application part of the technology is different, as their names suggest. Residential services generally make use of one VoIP phone line connected to the internet through an adapter. On the other hand, business systems consist of a number of extensions and lines connected through the computer networks for internal and external communication. They both also differ in terms of premium features provided by the service providers, which are more in the court of business VoIP systems, in contrast to residential calling services. How Does a Residential VoIP Work? Home VoIP systems use an adapter to connect telephone lines with an internet connection. The adapter generally converts the voice signals into digital data, and passes them to and forth through the internet to establish a free and uninterrupted flow of communication. The ideal combination of this advanced technology and fast speed broadband connections is one of the main reasons behind the widespread popularity of VoIP systems. There are a good number of reasons as to why you should choose virtual phone systems for residential communication needs. 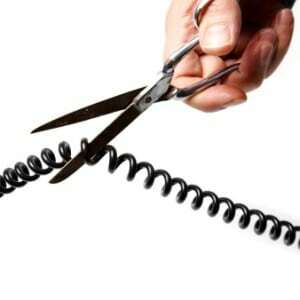 VoIP services prove to be an inexpensive alternative to the traditional copper wired telephone lines. Since they make use of an Internet connection to make calls, a good amount of money can be saved from phone bills. The residential VoIP service providers offer various features to the owners, such as call routing, voicemail and call forwarding; thereby enhancing the overall flexibility of attending to the calls. International calls can be extremely expensive if done through normal phone lines. VoIP services provide international calling at a much cheaper rate thanks to the advantages of the internet, and the phone calls are of better quality as well. The calling systems enable you to stay connected with your friends and family members on the go with the help of iOS and Android mobile applications. Most of the virtual phone service providers like Phone.com and VoIP.com provide the facility of porting your existing number to their system easily. Moreover, you need not purchase any additional hardware for setting up virtual phone systems. All you need is a fast broadband connection and a connectivity adapter, and your existing phone can be converted to a virtual phone system. You just need to provide the same details to the new service provider as were registered with the old company, in order to enjoy continued service. A wide range of other features are also provided by the residential VoIP service providers. These features can be availed to enhance the communication experience and enjoy much more flexibility at reduced rates. Custom greetings: You can personalize your VoIP phone by using custom audio greetings, custom messages, music, and other voices by uploading them on your own. You can even record a personal greeting from your phone and upload the same to your account. Call blocking: This feature enables you to block incoming calls from strangers or unwanted callers: you can easily add them to your call block list in your account. You can also block all outgoing international calls from your phone easily. Call transferring: This feature allows you to transfer calls to a single or multiple secondary phone numbers according to a caller ID or a specific time of the day. Online account management: Most of the home VoIP service providers allow you to check as well as manage your account online through their website. You can do a whole lot of activities online in a safe and secure manner. Address book: This feature allows you to create your own personal address book in your account, which can be easily accessed through respective directory buttons from the phone. This eliminates the need of remembering or writing down the important numbers. Online faxing: You can easily send and receive faxes from your computer through attachments. This eliminates the need of purchasing papers and thereby, makes it an eco-friendly way of faxing documents.